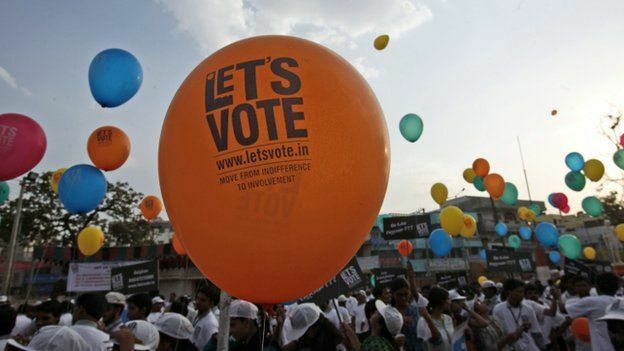 With election fever gradually gripping the country, tour operators in Gujarat have come up with special packages for foreign tourists wishing to experience various Lok Sabha polls related events in the state during the campaign period. “Around 1,800 foreign tourists had visited Gujarat in the 2014 Lok Sabha polls. They were mainly from Japan, UAE, the US and some European countries. They were taken to different parts of the state by tour operators to witness various poll related events, such as bike rallies and public meetings,” Sharma, owner of city-based Akshar Travels, said. The concept of election tourism in Gujarat was first introduced during the Assembly polls in 2012, followed by the 2014 Lok Sabha election. Sharma expects that over 2,500 foreign tourists will visit Gujarat during the Lok Sabha polls this time. “Around 20 tour operators have come forward to offer guided tours to curious foreign tourists wanting to know how elections are held here. “Apart from taking them to political rallies and public meetings, we will also take tourists to rural parts of the state so that they can have a glimpse of the election atmosphere there,” he said. “In the 2017 Assembly polls, some tourists even had a ride in an open car during a rally in Naranpura area of the city. During their visit to some rural seats, sitting MLAs explained to the visitors how poll campaigning is different in villages and urban pockets. “The tourists were also made aware about key poll issues by political leaders during such tours. In all, tourists get a complete experience of our election process,” Sharma said. “These multi-phased elections have opened a new dimension of tourism by showcasing our ‘Jan Shakti’ or the ‘Power of People’,” the letter said. “These tourists are overwhelmed by the sheer scale of our election process. For them, it is hard to believe that 50,000 or even more people turn up at a single place to attend a political rally. This is a unique feature of Indian elections. “We are hoping to attract a large number of tourists for election tourism this time,” Shah, one of the leading tour operators offering election tourism packages, said. Polling for all 26 Lok Sabha seats in Gujarat will be held in a single phase on April 23.